The ORE ships are specialised industrial ships, focusing on mining and salvaging. Whilst obviously not combat ships, they tend to be shield tanked and use drones for defense. Mining frigate Venture Introductory mining ship. Expedition frigate Prospect Covert ore mining ship. Endurance Cloaky ice harvesting ship. Mining barge Procurer Intermediate mining ship, specialises in defense (shield tank). Retriever Intermediate mining ship, specialises in ore hold capacity. Covetor Intermediate mining ship, specialises in ore yield. 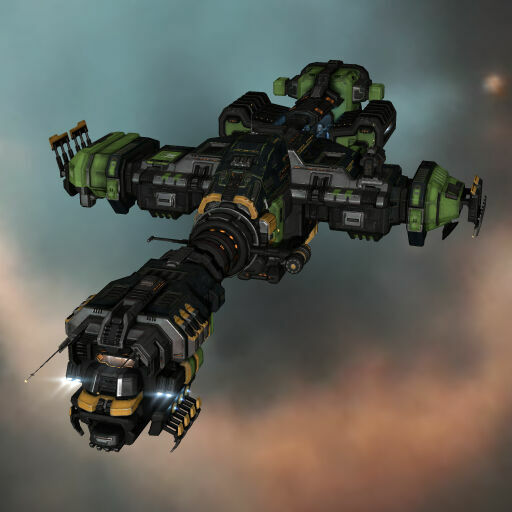 Exhumer Skiff Advanced mining ship, specialises in defence (shield tank). Mackinaw Advanced mining ship, specialises in ore hold capacity. Hulk Advanced mining ship, specialises in ore yield. Planetary interaction Primae Specialised for performing Planetary Interaction. Industrial command ship Porpoise Smaller mining support ship, cheaper hull replacement and can fit in smaller wormholes. Orca Mining support ship with a very large cargohold, can fly in hi-sec. Freighter Bowhead Freighter with ability to haul fitted ships. 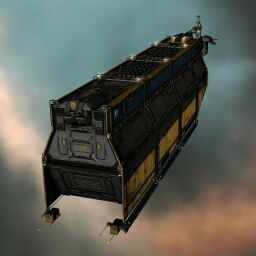 Capital industrial ship Rorqual Capital mining support ship (cannot fly in hi-sec), can compress ore in cargohold, and can temporarily make a mining fleet invulnerable. All basic ORE ships (the Venture, Primae and Noctis) have very low skill requirements; a new character's starting skills covers the Venture, the Primae has no skill requirements, and the Noctis only needs ORE Industrial (4x). The more advanced ORE ships' skill requirements depend on the type of ship. All T1 Mining Barges require the Mining Barge (4x) skill, which notably requires that you have Industry V trained. 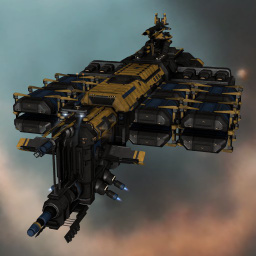 Exhumers, being their T2 cousins, require both Mining Barge V, Astrogeology V, and the Exhumers (5x) skill. The Orca on the other hand requires the Industrial Command Ships (8x) skill - prerequisites include quite some investment in leadership skills (Mining Foreman V) as well as the capability to fly the Noctis (ORE Industrial III) and some generic training (Spaceship Command V). The Rorqual, being a capital ship, has far higher skill requirements - in addition to Jump Drive skills (requiring Warp Drive Operation V, Navigation V and Science V), the Capital Industrial Ships (12x) skill also requires Capital Ships II (and thus, by extension, Advanced Spaceship Command V) as well as Industrial Reconfiguration I (and, by extension, Advanced Mass Production IV and Mass Production V). The Venture is the first ORE ship almost any aspiring miner will fly. A new character starts with the skills to fly it, and the ship is given out for free by the Industry and Business Career Agents, thus providing a viable mining ship with a low barrier of entry. While its mining yield is dwarfed by more advanced mining ships, it can nonetheless generate a reasonable income for a beginner miner, and its 5000 m3 ore hold means it doesn't have to return to a station to unload every few minutes. Its two built-in warp core stabilizers also make the Venture a good ship for mining in hostile space - plus, it aligns and warps much faster than the larger mining ships, allowing it a chance to escape from danger. Lastly, the Venture is one of only two ships (the other being the Prospect) with a bonus to Gas Cloud Mining, making it an excellent choice for such purposes. Expedition Frigates (the Prospect and the Endurance) are Tech II variants of the Venture, specialized for flying in dangerous space. The mining barges are the next step up from the Venture, with much higher mining yields, larger ore bays and/or a stronger tank. Also, in contrast to the Venture, the mining barges can fit strip miners (with much higher yield than normal mining modules) and ice miners. There are three mining barges, each optimized for a different role: The Procurer has a strong tank, the Covetor a high mining yield, and the Retriever a large ore bay. 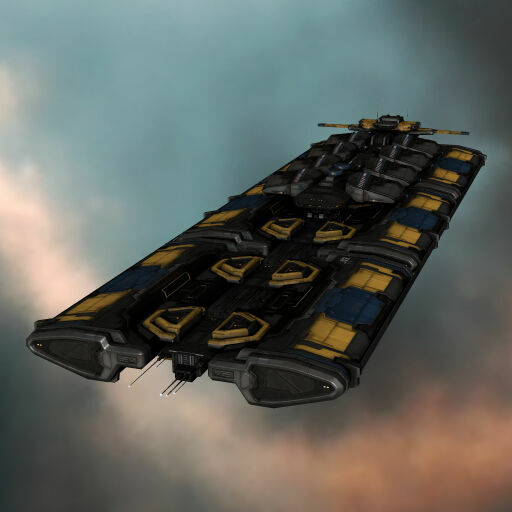 Exhumers are the Tech II versions of Mining Barges, and all three are direct upgrades from their Tech I counterparts. All of them require the Exhumers (5x) skill to operate. The Primae is a ship which specialises in supporting Planetary Interaction; every pilot received one for free with the Tyrannis expansion. It takes no skills to fly, and has two specialised cargo holds: one for planetary command centers (2000 m3, enough for two command centers) and one for commodities produced by Planetary Interaction (1000 m3). Unfortunately, the Primae pales in comparison with Tech I industrial ships - these have at least as much tank and cargo capacity (in most cases, much more - the Epithal can carry up to 67,000 m3 of planetary commodities) as the Primae, while costing less than half. Therefore, unless you don't have access to industrial ships, there is no reason to use the Primae. Although it may look similar to the Primae, the Noctis is anything but useless: when it comes to salvaging, nothing beats the Noctis. It requires the skill ORE Industrial (4x) to fly, and when this skill is trained to level V, the Noctis' tractor beams can reach out to 80km, hoovering up wrecks from an entire battlefield. The Noctis' one downside is that its tank is a bit weak (barely arriving at battlecruiser-level EHP with Tech 2 modules), especially if one of its midslots is needed for a propulsion module - and given that it will often carry valuable salvage, it can make for a juicy target. Nonetheless, the Noctis remains the undisputed king of salvaging, and is often found trailing mission fleets, salvaging the wrecks they produce. The Noctis marks Outer Ring Excavations' entry into the lucrative bulk salvaging market. Building on their successes integrating Marauder-class tractor technology into the Orca command platform, and innovations in automated salvaging technology, they designed a compact, affordable wreck recovery solution. A refined version of the successful limited-run Primae design made the perfect hull to house this new equipment, as its salvaging heritage and advanced sensor suites complement and enhance the new technologies. The increased sensor footprint of the new vessel is more than compensated for by its incredible efficiency at retrieving and reclaiming wreckage. The Noctis can fit up to five Salvage Drones, further enhancing its salvaging capabilities. The Porpoise is a command ship designed to support mining fleets. It is smaller than the Orca and designed to fit into wormholes an Orca could not. It is also cheaper to build or buy and could be used as an entry level mining booster. The Orca is a command ship designed to support mining fleets, but can fill many support roles due to its large cargoholds and ship maintenance bay. By making its Ship Maintenance Bay accessible to fleet members, it can also provide near-perfect protection against suicide ganks to any mining ship within range. The Bowhead is the ORE freighter but unlike the other racial freighters it has a small cargo hold and a very large Ship Maintenance Bay, similar to the Orca and Rorqual. Unlike other freighters it has rigs and midslots, not just lowslots. As part of its ongoing program of developing new products for the capsuleer market, ORE has created the Bowhead freighter as a specialized ship transporter. Experience with the ship-handling technology used in the Orca and Rorqual vessels enabled the Outer Ring Development division to build a ship dedicated to moving multiple assembled hulls at once. Outer Ring Excavations are aggressively marketing the Bowhead as a flexible transport platform for organizing fleet logistics across New Eden, available from authorized ORE outlets. 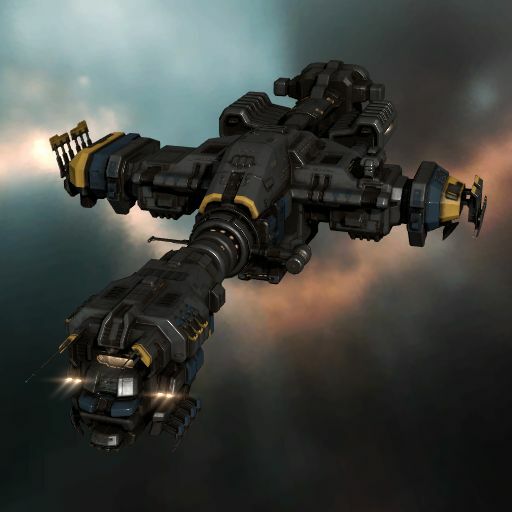 The Rorqual is a capital version of the Orca, and is generally only seen in nullsec. As well as fielding similar bonuses to the Orca, it can carry a mining fleet to their destination and compress ore to make it easier to haul. 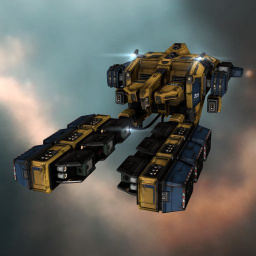 Often, though, the Rorqual is seen as too risky to deploy in an asteroid belt and is set up within a POS shield instead; miners still get the bonuses and ore compression, and most pilots see this as a worthwhile tradeoff. This will deal only with dedicated mining ships (mining frigates, mining barges and exhumers). For information on fitting a Noctis, Primae, Orca, or Rorqual, please see their dedicated ship pages. Gas Cloud Harvesters for gas mining. The low-slot Mining Laser Upgrade and Ice Harvester Upgrade modules increase the yield (amount mined per minute) of asteroid and ice miners, respectively (there is no equivalent module for gas miners). As for rigs, they can be used to increase the yield of ice and Mercoxit mining, as well as mining drones. Lastly, the only mid-slot module dedicated to mining is the survey scanner (which shows how much ore/ice is available in nearby asteroids). All the mining ships are shield tanked, and therefore most of their mid-slots and rigs, and some of their low-slots, are dedicated to mounting a stronger tank. For details on fitting shield-tanked ships see shield tanking; depending on whether you will be flying to more dangerous areas of space (and how risk-averse you are), you will dedicate more or fewer slots to your tank. Mining lasers harvest asteroids, and are the most basic mining module. They have a cycle time of 60 seconds. Note that these require a free turret slot on a ship, and can therefore not be fitted to Mining Barges or Exhumers (which use Strip Miners instead). Click on the column headers to sort the table; mouse over them for a more detailed explanation. Compared to the meta 0 module, the two meta miners offer an increase in yield (+25% for both) and a choice of longer range or lower fitting requirements - so you should use these modules since they're usually not very expensive. It's hard to find a situation where the lower fitting requirements of the Compact Laser make it necessary, so generally the Scoped Laser is better. The tech 2 miner is a clear upgrade over any of its tech 1 counterparts (+50% yield compared with the meta 0 miner), although it does need more CPU and training the Mining skill to level IV - but if you plan on mining with the Venture for longer periods of time, it's a worthwhile investment. While the ORE Miner (obtainable from the Outer Ring Excavations Loyalty Points store) outperforms the Tech 2 miner slightly, it is very difficult to find and very expensive. These are specialised variants of mining lasers, and are needed to mine Mercoxit (the rarest kind of ore, only found in nullsec). Whilst they are capable of mining other kinds of ore, they are less efficient at it (lower yield) than normal mining lasers. The Modulated Deep Core Miner II has a cycle time of 180 seconds; the others have cycle times of 60 seconds. The tech 2 deep core miner can be fitted with mining crystals to increase its yield, and is also much more forgiving in terms of fitting (the tech 1 deep core miner takes so much CPU that it's nearly impossible to fit more than 1 on a Venture). These modules allow expedition frigates (the Endurance and the Prospect) to harvest ice. They operate on very long cycle times and all have the same yield per cycle (1,000m³). The Tech 2 ice miner has ~10% more yield (181 m3/min) than its Tech 1 counterpart (166 m3/min), but requires more skill training. The ORE miner (available from the ORE loyalty points store) is just as good as the Tech 2 miner, but it's very rare and expensive, and therefore it's worth investing the time to train Ice Harvesting to level V to use the Tech 2 version. Strip miners can only be fit on mining barges and exhumers, and are used to mine ore. Unlike mining lasers, they have a cycle time of 180 seconds (3 minutes); the table below lists their mining yield in m3/min (whereas in-game tools often list their yield in m3 per cycle). Even the basic strip miner is a massive upgrade over mining lasers (the Strip Miner I mines almost five times as much as a Miner I). The tech 2 strip miner has a lower base yield than its tech 1 counterpart, but can and should always be fit with mining crystals which will give a +8% yield (tech one crystals) or a +16% yield (tech two crystals) compared with the tech 1 strip miner. See mining crystals below for more information. The Modulated Deep Core Strip Miner II is the only strip miner capable of mining Mercoxit, and the ORE Strip Miner is very rare, expensive, and not worth using. These modules are used to mine ice (surprise, surprise), and, like strip miners, can only be fitted to mining barges and exhumers. Unlike ore miners, ice miners all mine 1 unit (1000 m3) of ice per cycle; their distinguishing feature is the length of their cycle (a shorter cycle means more ice mined over time). The Tech 2 ice miner has 20% more yield (240 m3/min) than its Tech 1 counterpart (200 m3/min), but requires more skill training. The ORE miner (available from the ORE loyalty points store) is just as good as the Tech 2 miner, but it's very rare and expensive, and therefore it's worth investing the time to train Ice Harvesting to level V to use the Tech 2 version. Gas cloud miners are used to mine gas clouds, and can only be fit to ships with turret slots (which means they cannot be fitted to mining barges or exhumers). For each level of the Gas Cloud Harvesting skill you can fit one additional gas cloud harvester (up to a total of 5 at skill level V); all gas cloud miners have a range of 1.5 km (the shortest of any of the mining modules by quite a margin). Note that the table below lists yield per minute (to make it easier to compare modules), while most in-game sources will list yield per cycle. The two meta 1 gas cloud harvesters have lower fitting requirements than the meta 0 module, however, even an average-skilled pilot should have no problem fitting a Venture with two meta 0 gas cloud harvesters. The tech 2 module has 50% more yield than its tech 1 counterparts, and is therefore a very worthwhile upgrade despite the long skill training time (and the slightly more demanding fitting - although it should still not cause problems for most miners). The Syndicate harvester (obtainable from the Intaki Syndicate LP store), is very rare, expensive, and almost never worth using unless you need every last drop of CPU fitting for other modules. Survey scanner are a mid-slot module which allow you to see how much ore/ice is present in nearby asteroids (allowing you to, for instance, mine the asteroids containing the most ore). Survey scanners have to manually activated and do not auto-refresh (so you need to periodically activate the scanner to update the information you receive); a scan takes between 4 and 5 seconds (depending on the survey scanner module). Unlike most other modules in the game, training the prerequisite skill (CPU Management) does not improve the performance of the survey scanner in any way; the only way to increase the range of a survey scanner is to fit them to an Orca or a Rorqual (which have built-in bonuses to survey scanner range). The various survey scanners use very little CPU and power grid, and are primarily distinguished by their range (how large an area, measured from your ship, they can scan). Given that nearly every mining module has a range of 15km or less (the one exception being the rare and very expensive ORE Strip Miner), the basic Survey Scanner I will cover every asteroid you can mine without moving your ship. The longer-ranged survey scanners are only useful if you're mining in an agile ship (e.g. a Venture) and want to fly around an asteroid belt looking for particular ore types, or if you are part of a mining fleet are are receiving fleet boosts (which, among other things, increase the range of your mining lasers). Mining laser upgrades and ice harvester upgrades are low-slot modules which increase the ship's ore and ice mining yield, respectively. Mining laser upgrades increase the amount of ore mined per minute (m3/min), and ice harvester upgrades reduce the cycle time of ice harvesters (allowing more ice to be mined per minute). They use a moderate amount of CPU, but their notable downside is that they increase the amount of CPU used by the mining lasers / strip miners / ice harvesters installed on your ship (commonly referred to a "CPU penalty"). For example (assuming no skills or other factors), a Strip Miner I normally requires 60 TF of CPU, but if you install a Mining Laser Upgrade I on your ship, it now requires 60 + 10% = 66 TF. You can mitigate this penalty by training the Mining Upgrades skill, which reduces it by 5% per skill level. Note that neither the yield increase nor the CPU penalty are subject to stacking penalties. Mining laser upgrades only affect ore mining yield (and increase the yield of ore mining modules) and ice harvester upgrades only affect ice harvesters (and decrease the cycle time of ice harvesting modules), but otherwise, these modules are nearly identical, and are therefore shown in a combined table below. There are no upgrade modules for gas mining. The meta and storyline variants are progressive upgrades over the basic meta 0 module, giving mining yields (or reduced cycle times, for ice mining) and lower CPU penalties; the only downside to using them is their slightly higher CPU requirement and prohibitive cost. On stats alone, the tech 2 module is in all respects worse than the storyline modules (especially the enormous 12.5% CPU penalty); however, these modules are often ruinously expensive, so the tech 2 module may be worth using if have the necessary skill trained, and if your ship can handle its steep CPU penalty. Drone mining augmentor rigs increase the yield of mining drones by 10% and 15% (for the tech 1 and tech 2 versions of the rig, respectively), but reduce your ship's total available CPU capacity by 10%. These rigs come in all available sizes (from small to capital), but are rarely worth using, as mining drones only make up a small fraction of a miner's yield, and the valuable rig slots are usually needed to improve your ship's tank. These rigs are only available in a medium size (to fit mining barges and exhumers), and increase the mining yield while mining Mercoxit by 16%. These rigs are only available in a medium size (to fit mining barges and exhumers), and decrease the cycle time of ice harvesters by 12%. Mining crystals can only be used on modulated ore mining modules (any tech 2 module with "modulated" in its name), and increase mining yield when mining a particular kind of ore (but give no benefit when mining another kind of ore). For instance, Scordite Mining Crystals increase your mining yield when mining Scordite (including Scordite's variants, Condensed Scordite and Massive Scordite), but give no benefit when mining any other kind of ore. They are loaded into the mining modules (like ammunition) and have a limited lifespan (on average, 400 mining cycles for tech 1 crystals and 200 cycles for tech 2 crystals) before they break and must be replaced with fresh crystals. Tech 1 mining crystals improve yield by 62.5%, while tech 2 crystals improve yield by 75%. Modulated miners can be used without loading mining crystals into them, but they will perform worse (have lower yield) than their basic tech 1 counterparts. Mining crystals also modify the amount of capacitor used every time a mining module is activated; the crystals for common ore types reduce the amount of capacitor used (up to -20% for the Veldspar crystals), while the crystals for the rarer ores increase the amount of capacitor used (up to +100% for the Mercoxit crystals). This may become an issue when short-cycling mining modules (i.e. manually deactivating them before their cycle is complete, and then immediately re-activating them), as they use capacitor every time they are activated, and so you may need to wait a moment for your capacitor to recharge. Generally, miners will carry a few sets of mining crystals in their cargo bays for the ore types they will encounter in their chosen mining area. Mining crystals take up 15m3 / 25m3 (for tech 1 / tech 2 crystals, respectively), and while the cargo hold of mining ships are not enormous, they are generally spacious enough to carry several tens of hour's worth of crystals. Organised mining fleets often use the Orca's enormous cargohold to store spare mining crystals for the entire fleet. In order to use the mining crystal you need to have trained its corresponding ore processing skill to III (IV for the Tech 2 crystal). For instance, to use Veldspar Mining Crystal Is, you need to have trained Veldspar Processing III. Mining crystals only affect ore mining; there are no corresponding crystals for ice or gas mining. A full flight (five) of mining drones to maximise ore yield. This is most commonly used in mining fleets, where one flight of combat drones (flown, for instance, from an Orca) is enough to provide protection from rats for the whole fleet, allowing the mining ships to concentrate on maximizing their yield. The most commonly used mining drones are the Mining Drone I and the Mining Drone II. The 'Augmented' Mining Drone is an substantial upgrade over its Tech II counterpart, but it's very expensive, as is the Harvester Mining Drone (which can only be flown effectively by Exhumers and the Covetor, as it needs 10 Mbit/s of drone bandwidth, compared with 5 Mbit/s for the other mining drones). Keep in mind that all drones need to travel between your ship and the asteroid they are mining, so move as close as possible to the asteroid to keep their travel time down to a minimum. A mixed flight of light scout combat drones and mining drones, which is a compromise between mining yield and defense against rats. One or two combat drones is almost always enough to defend against belt rats in high-sec, so this is a common setup for solo high-sec miners. Exhumers and the Covetor can use their larger drone bay (50 m3, compared with 25 m3 for the Procurer and the Retriever) to fly five mining drones, but also carry a full flight of light scout drones in reserve (which are deployed when rats show up). Miners who are worried about being ganked sometimes carry a full flight of light ECM drones, which can disrupt the targeting of any ships attacking them and hopefully allow the miner to escape. Some miners (particularly mining ships with larger drone bays, who therefore have more flexibility) carry one or two salvage drones to salvage the wrecks of belt rats. Ventures, due to their much smaller drone bandwidth and drone bay (10 Mbit/s and 10 m3) generally carry two light combat drones for defense against rats. This page was last modified on 3 August 2018, at 06:27. This page has been accessed 497,050 times.